Republished from MacNN. View Avenza press release. 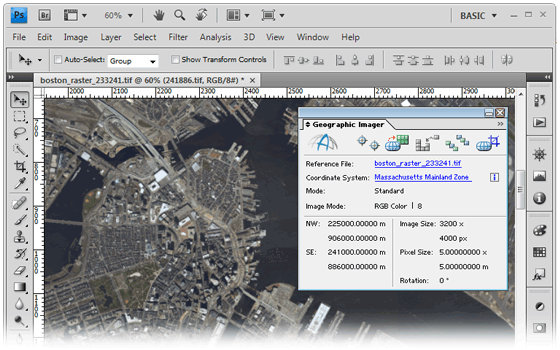 Avenza has announced an update to Geographic Imager, a Photoshop extension which handles geospatial content from sources such as satellites. Images can be imported, edited and exported using Photoshop, with special options for tasks like automatically tiling images, or geo-referencing them with ground control points. Version 2.5 adds support for DEM formats including USGS/CDED ASCII, and a collection of other standards including ECW, JPEG 2000 and military elevation data. New features include the ability to crop on import, and thus trim down raster images which are otherwise too unwieldy. Automatic coordinate system transformation can now be performed during mosaic creation; this adjusts images with different coordinate systems and pixel sizes, conforming them to the intended output. The update should be available in the third quarter of the year, either as a free release for those with maintenance subscriptions, or a $319 upgrade for those without. New licenses start at $699. The extension requires Photoshop CS3 or CS4, as well as 300MB of hard drive space. March 2009 article also available in PDF format. Like no other time in recent history, our world is challenged. Disease, environmental deterioration, disasters, and now the widespread disruption of financial markets test the resourcefulness of society. Over the past 40 years, GIS has evolved from a tool for managing projects to a framework for understanding and responding to problems on scales ranging from the local to the global. The geographic approach has become an important methodology for integrating data and information and enabling better decision making. The availability of quality geospatial data, together with improvements in software and hardware performance, has made these advances possible. 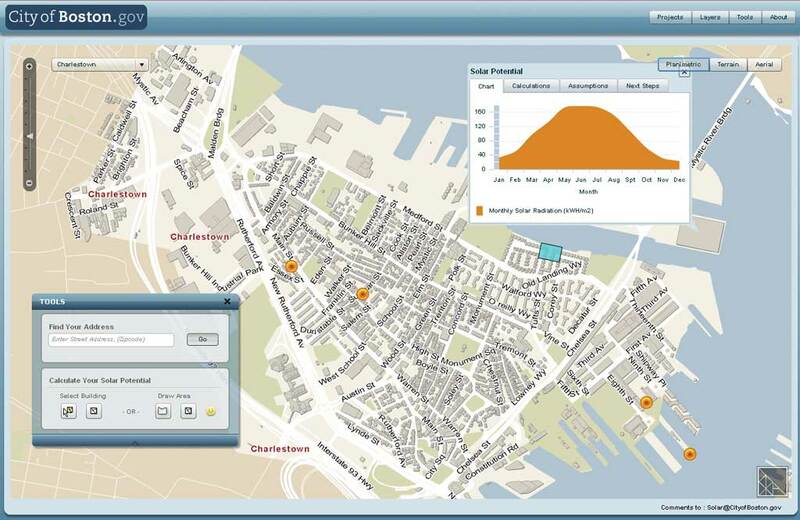 The Solar Boston Web site uses geospatial data and high-performance, application-focused Web mapping to encourage the adoption of solar energy in the city of Boston, Massachusetts. Visitors can use tools at the site to calculate the solar potential of building rooftops and the annual cost savings that could be realized from installing solar panels. With the move to an object-oriented platform, ArcGIS is better able to abstract and model the world, representing and integrating information about complex systems and modeling their behaviors. This is true whether the subject under study is as broad as an ocean or limited to a neighborhood. The development of spatial data infrastructures (SDIs) represents the next logical step in the expansion of GIS use for data management and decision support. SDIs use accepted data and metadata standards in the creation of well-documented foundation datasets. Used with constantly updated operational data, SDIs make data more accessible and useful for specific tasks and analyses and save time while sharing costs. SDIs, together with GIS software, unlock the information contained in the terabytes of measurements, images, transactions, and other data stored in digital form by placing it in a geographic context. The phenomenal growth of the Internet has multiplied the value of SDIs by enhancing the dissemination of data and information products. The newest release of ESRI software, ArcGIS 9.3.1, is focused on making information more consumable using the Internet. It supplies tools for configuring and deploying responsive and informative Web maps that help users accomplish specific tasks. In February 2009, the Statistical Office of the European Communities (Eurostat) awarded a contract for the development of the technical components of a Web-based GIS. The contract went to a consortium that based its solution on ESRI technology. These components will comply with the provisions of the Infrastructure for Spatial Information in Europe (INSPIRE). In establishing INSPIRE, the European Commission recognized the importance of quality georeferenced information to the understanding of the complex interactions between human activities and environmental pressures and impacts. Two articles in the Focus section of this issue of ArcUser magazine provide additional examples of the value of building geospatial infrastructures to address complex problems and provide tangible benefits. Maintaining water quality is essential to the health of the environment. Although water quality monitoring has been ongoing for decades, this abundance of measurement data cannot be translated into effective regulation and remediation action if it is not accessible, placed in geographic context, and amenable to analysis. With new tools in ArcGIS, such as the regression analysis tools, vast data inventories can be placed in a geographic context and analyzed. This scatterplot matrix diagram is used for exploring data on foreclosures to discover if there is any relationship between variables preparatory to effectively modeling it. The staff of Region 4 of the U.S. Environmental Protection Agency developed a geodatabase that manages current and historical water quality data and allows for rapid and flexible inquiry, analysis, and dissemination of this data and the information derived from it. This geodatabase, loaded into an ArcSDE server, uses feature classes, reformatted tables, and relationship classes. Information can be viewed as layer files generated from query definitions or queried by feature. This information is available from the desktop or distributed as ArcReader projects. The benefits accrued from a geospatial infrastructure are greatly multiplied at larger scales as demonstrated by the marine SDI developed by the Portuguese Instituto Hidrografico. The SDI created by this naval organization integrates an abundance of sea monitoring data, prediction data, navigation charts, and base data using international data format standards and data models. A fully stipulated data policy and metadata for all geospatial data ensure data quality and promote data reuse. A wide range of information products generated for public, private, and military use are widely disseminated through Web portals. In addition, the SDI provides ad hoc decision support for the navy. As these articles show, GIS professionals will play a more important role than ever in helping understand complex systems. 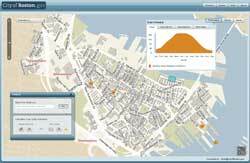 With the development of SDIs, GIS professionals will be better able to apply GIS to transform data into knowledge. Aided by increasingly powerful tools in GIS, they can gain a better understanding of the world’s complex systems and help develop a more sustainable future. Matt Perry just added a geospatial section to the social news site, Reddit – http://reddit.com/r/geospatial. You can upload links and vote on news, publications, tutorial, screencasts, anything related to geography and technology. This could be a great resource but only if people actually use it! So if you’ve got any good links, post ‘em… blatant self-promotion encouraged.